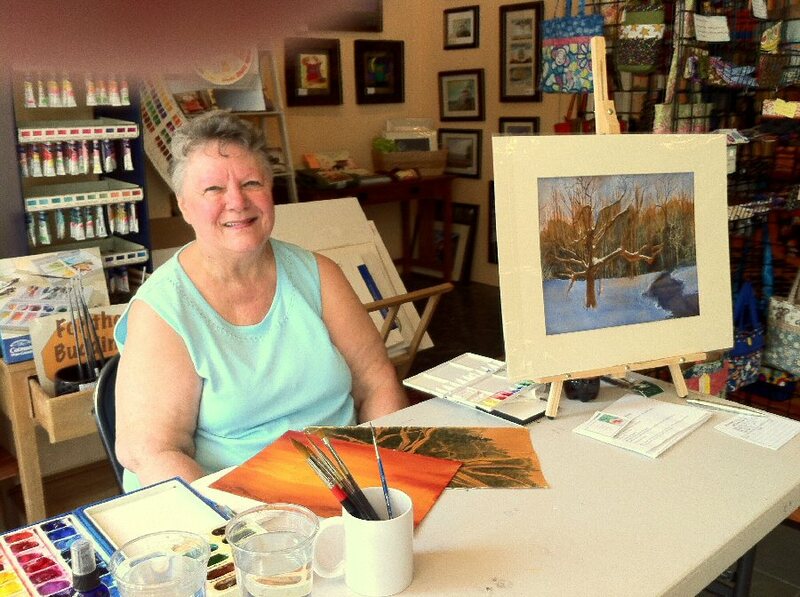 Carol Burghart, local watercolorist and Lakeside Artisans member, is offering a full-day workshop in the use of gold gesso as underpainting for watercolor paintings. Carol Burghart demonstrating her use of gold gesso in watercolor painting. The workshop will take place at Lakeside Artisans on September 14 from 10 a.m. to 3 p.m. The use of this special technique in watercolor creates paintings that glow with gold undertones and areas where the color is removed to let the gold show through. There is a $70 fee for this all-day workshop, with a $10 reservation fee that will be applied to the total cost. To reserve a place in the workshop, send or bring your $10 reservation fee to Lakeside Artisans, 191 W. First St., Oswego, NY 13126, Attention: Burghart. Please include your name, address and contact information. For more information, please contact us at 342-8880 or [email protected] or like us on Facebook.